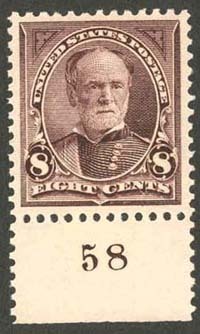 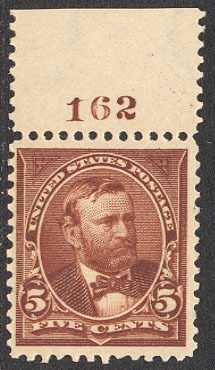 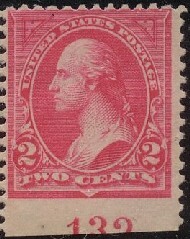 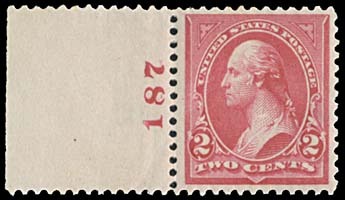 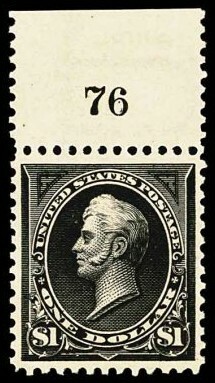 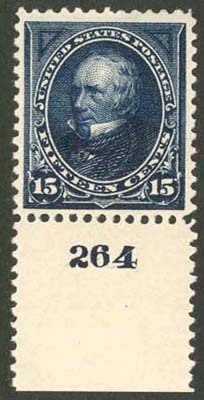 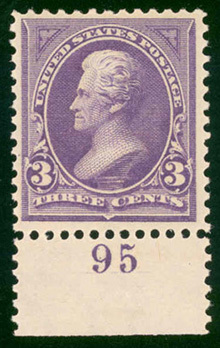 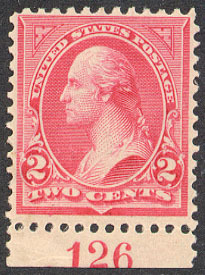 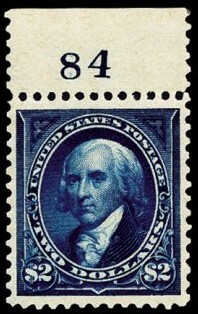 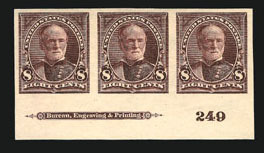 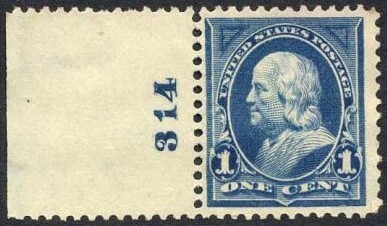 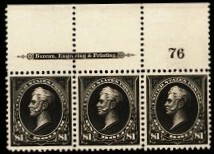 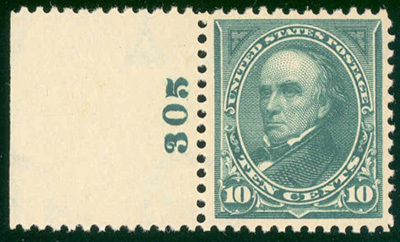 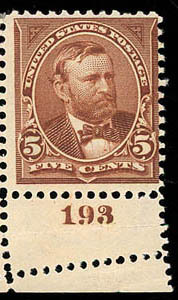 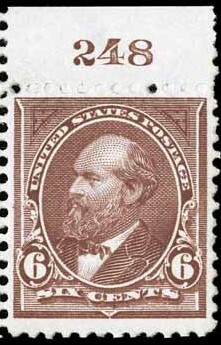 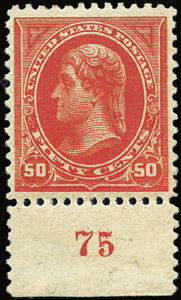 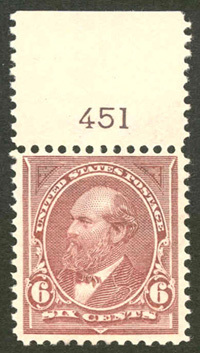 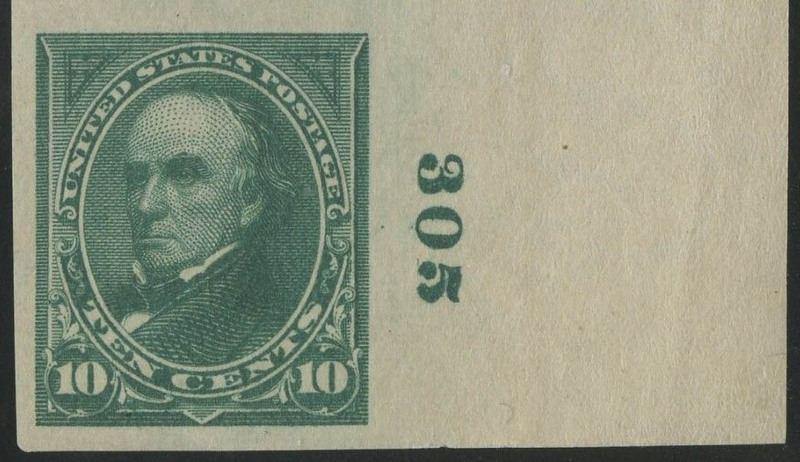 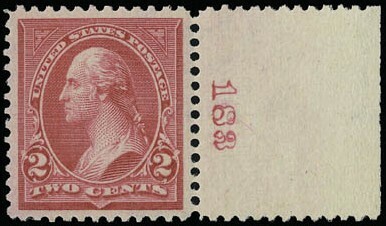 In 1895, the same 1894 issues were reprinted, but on watermarked paper with USPS in double-line capitals. 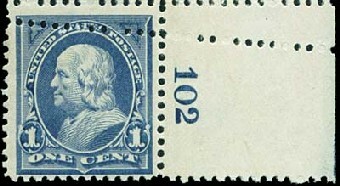 The hint of a double line "S" watermark can be seen in the selvage. 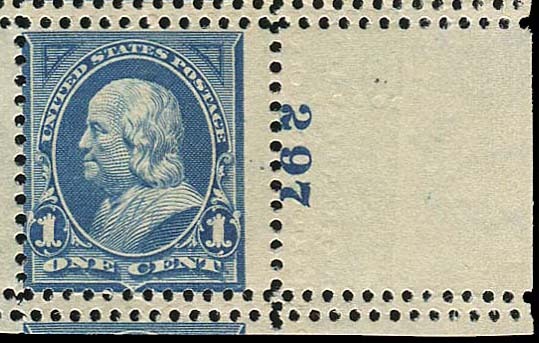 Note the change of font for the plate numbers, which started with plate number 328. 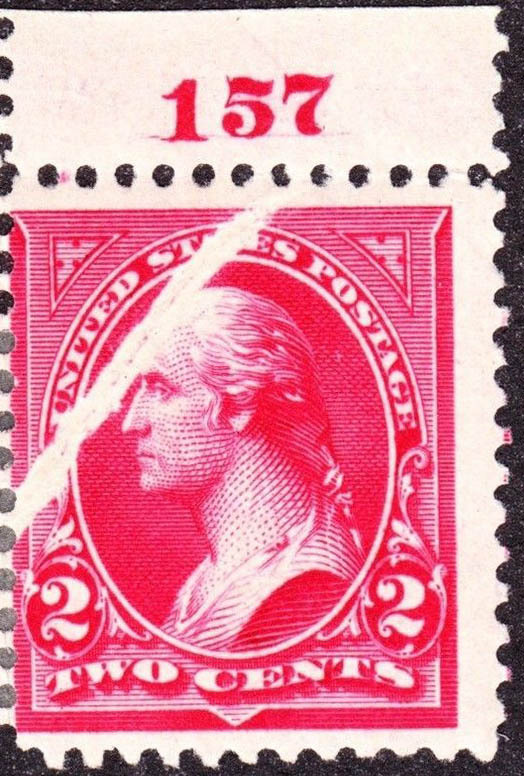 This page last updated October 8, 2018.